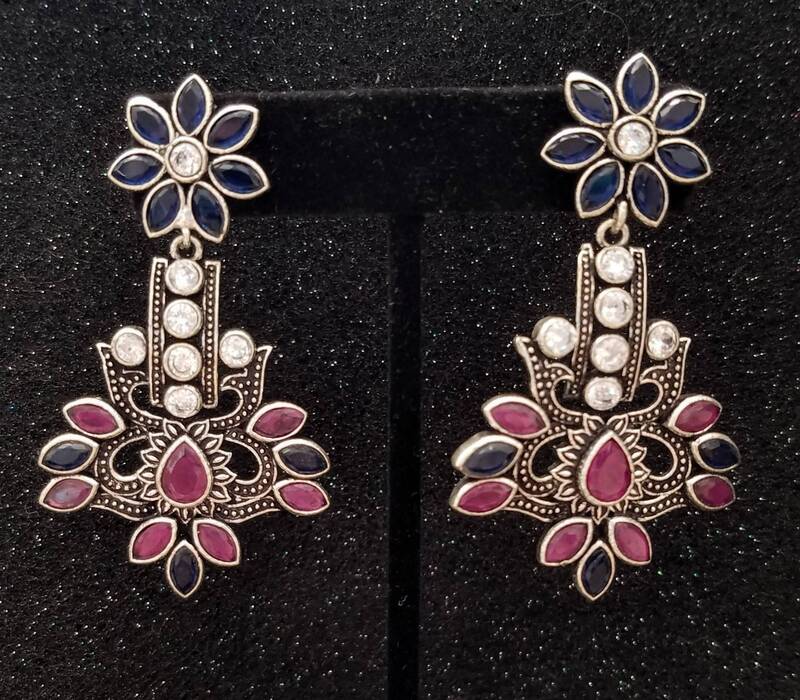 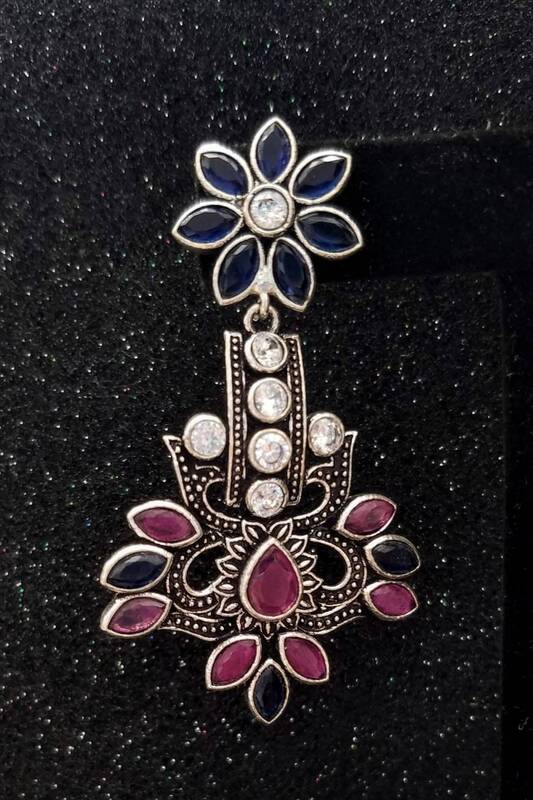 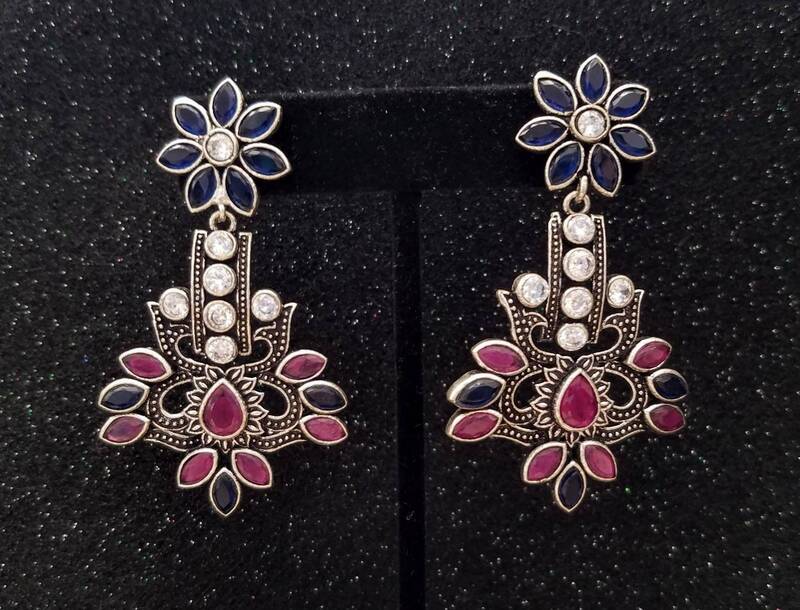 Be stylish in these elegant and classy Bollywood art deco style earrings - traditional yet modern! 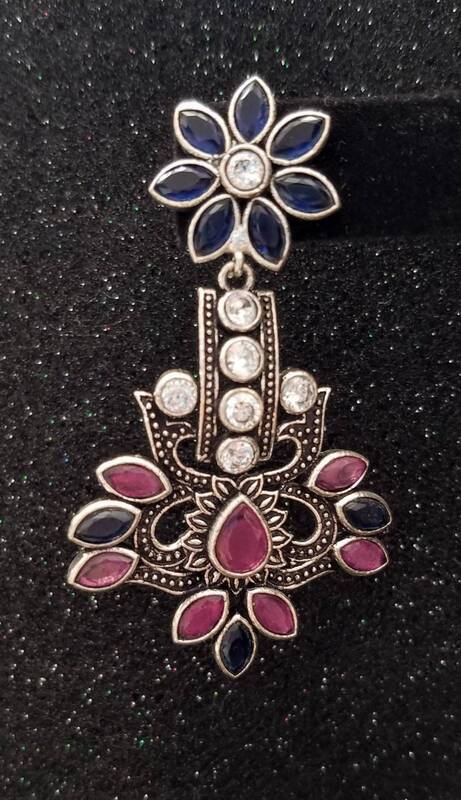 Faceted glass gemstones catch the light from all directions - the look of rubies, blue sapphires and diamonds. 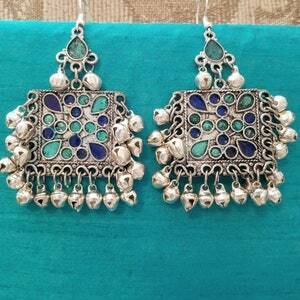 Detailed and precise filigree work in oxidized silver color. 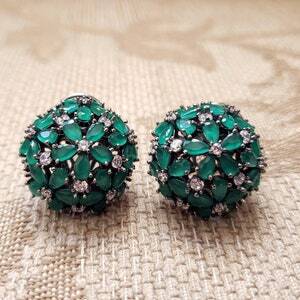 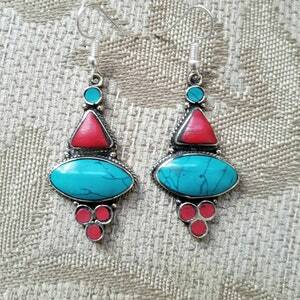 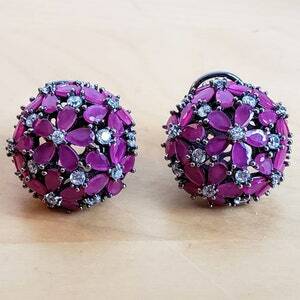 Look amazing in these stunning earrings!